The Sophia bracelet features lovely tear shaped crystals which come together to deliver true bohemian style. Capture hearts with this simple, yet elegant bracelet. 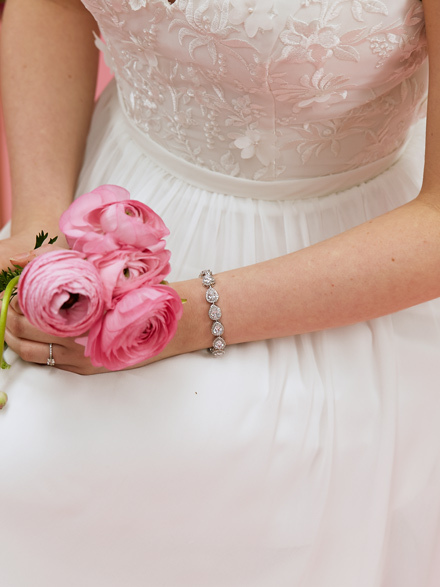 Inspire a new you and become the beautiful bride you know you are. 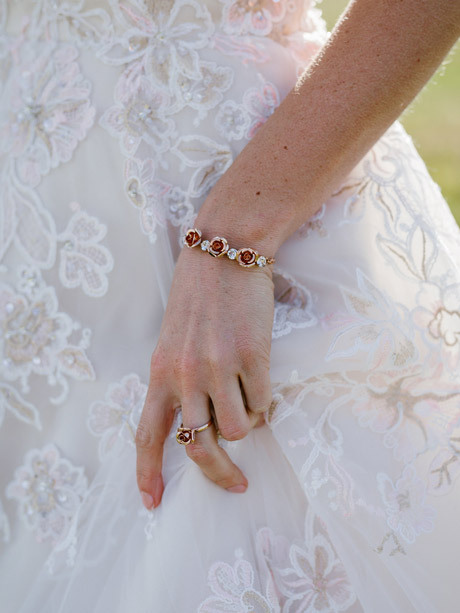 The Sophia Wedding Dress Bracelet is a tried and true example of classic boho style. This tear shaped crystal bracelet is a simple, yet elegant piece with an added bohemian touch. 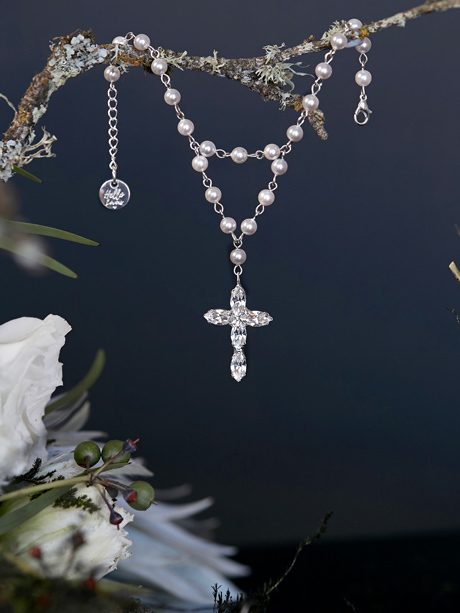 We recommend this piece for the bride who prefers simple over flashy. 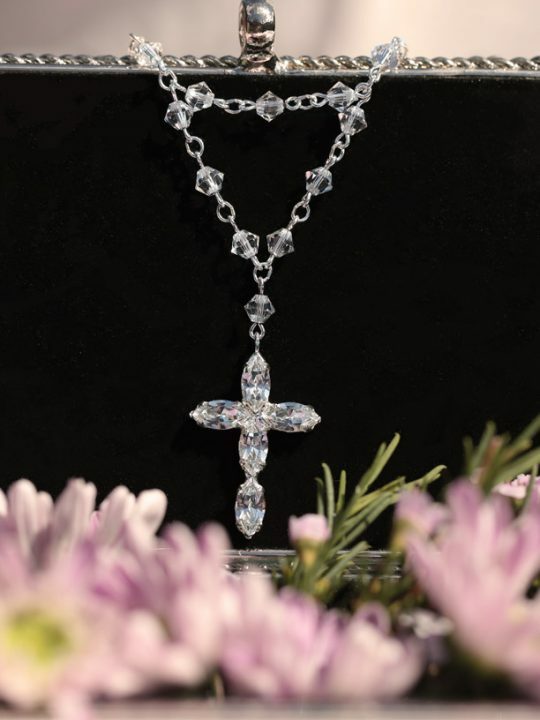 Here the details stand out to bring out the beauty of each crystal. Be soft and beautiful with the Hello Lovers Sophia Collection. This Wedding Dress Bracelet is a part of our Halo Jewellery collection, a more classic and timeless range of pieces that will last the ages. Our Sophia Wedding Dress Bracelet, and every other piece in our wedding jewellery collection, are packaged in a pale silk pink Hello Lovers Australia box. Other boho wedding jewellery for the bride you may like are our Roman chain bracelet or Melbourne wedding bracelet. 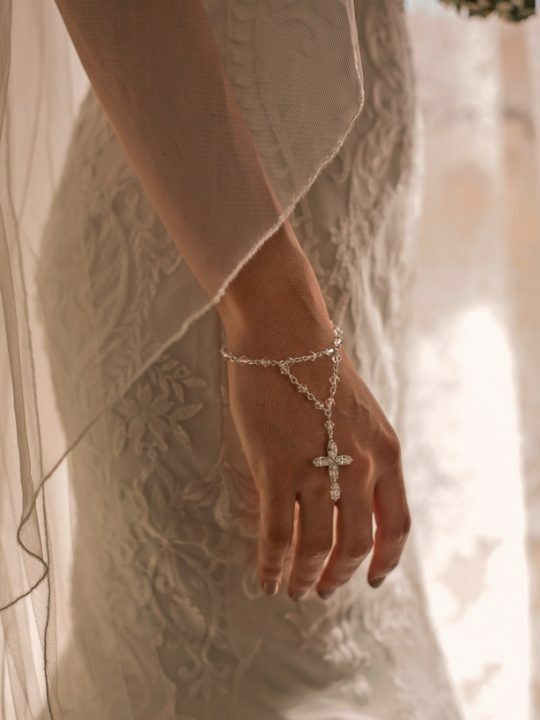 The Sophia bracelet looks simply stunning with the Broome lace wedding dress. As a dress that places focus on the wrists with three-quarter sleeves, the Sophia bracelet offers the perfect highlight. We also have the Poppy Wedding Earrings to deliver just a bit of shine. Hello Lovers Australia Collection is an exquisite display of lovely jewellery pieces that are named after and inspired by our country’s capital cities. The Sophia bracelet delivers elegance and unique bohemian style. 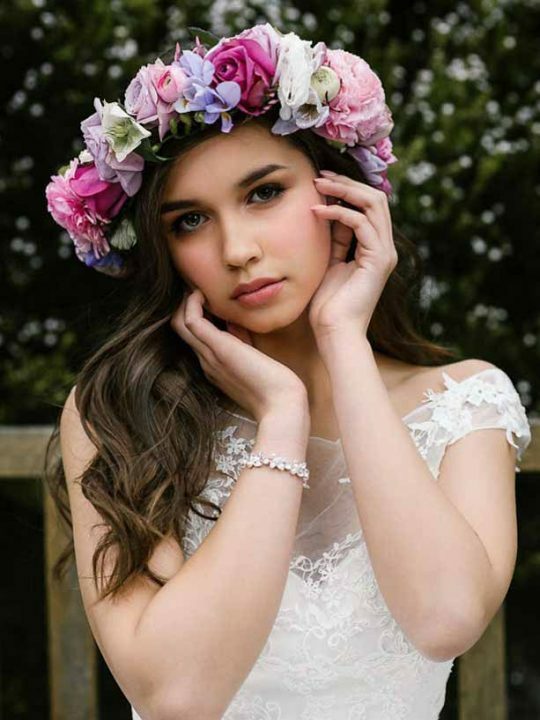 Find the perfect boho accessories to pair with your bridal gown with the Sophia range that can be found at Hello Lovers.com.au. Handcrafted jewellery designed in Melbourne by Hello Lovers Australia. 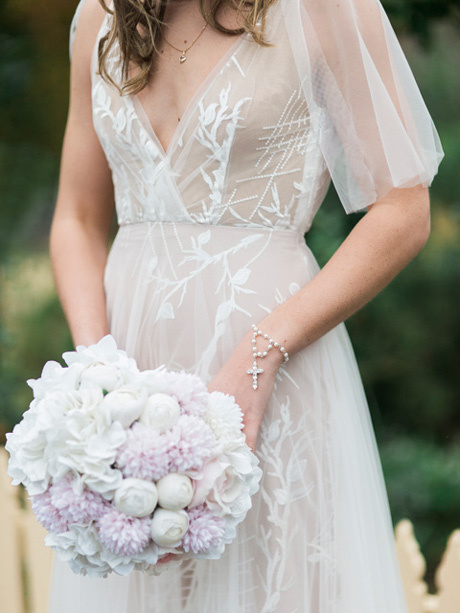 Experience our lovely collection of lace wedding dresses in the vintage boho style.